It begins with us always. For this edition of the "Thought 4 the Week", this simple yet profound timely reminders on change are ever so crucial because it is up to us. As I listened to this, I was reminded of Gandhi Ji's Admonition to be the change you want to see in the World--and it is upon each and everyone of us. Part of the continued Education Process is a sense of purpose and embracing all those who struggle to enlighten us all. To that end, What Professor Bennoune of UC Davis has done is just fantastic work in recognizing how beautiful those who truly embrace a sense of faith are. To "Wind down" the "Virtual Week", this courtesy of Darren Hardy of Success Magazine was quite poignant that goes to the heart of the essence of Education. 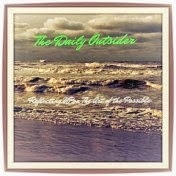 We here @ "Outsiders" hope it is of interest--Enjoy!! It's time to get your growth on! For 20 years I have been a business leader in the industry of personal development. As a result people are always curious about my own personal development plan and process. Choose ONE skill you want to learn or improve on in the next 3 months. Then find the materials (5 books, 3 cds -or- dvds, 1 seminar -or- webinar) that relate to this skill that you will read and listen to for 30 minutes each day. A digital planner for my kids to keep track of assignments and class schedules. Plus a free tool that lets you annotate and share PDF documents. Better yet, the apps are all free or just a couple of bucks. And if you have a little more to spend, you can even get a program that will record and transcribe all of your class lectures! Check out all these top picks for must-have back to school apps in our story on Techlicious. Some of the analysts out there spotted problems--but he is to be commended for taking the time to share this for all. I will be sharing it with my students. It is amazing what you can do if you will simply do it. Instead of wondering whether or not you’re able, take action and discover that you can. If you follow your vision, people might think you’re crazy. Persist in taking positive action, and show them how truly mistaken they are. If all you ever do is think about it and wonder about it, you’ll come up with plenty of excuses. Take action, and all the excuses go out the window. Go ahead and find out how wonderfully capable and effective you are. Go ahead and make your time count for something by making a meaningful difference with it. Rock solid confidence comes from knowing that you can. Knowing that you can, comes from actually doing it. Take that action, feel that confidence, and experience the power of your own abilities. Go ahead, make the effort, give it your best, and discover that you can.